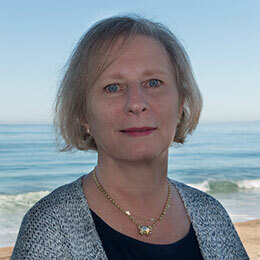 As the Engineering Administrator, Cindy works with all the Engineering groups here at MBARI: Software-Information, Software-Embedded, Mechanical, Electrical and Manufacturing. Cindy directly supports MBARI’s Engineering Director, Douglas Au, and the Engineering Group Leads. Cindy also supports our two Research Engineers, Mathieu Kemp and Kakani Katija. Her major responsibilities are to help ensure the smooth running of the department, helping the groups with budget management, travel, event planning, graphics generation, creative problem solving, web site coordination and other tasks as necessary – the job is never boring. Cindy was also a member of the Oceans `16 Local Organization Committee, and served as the Local Arrangements Chair.